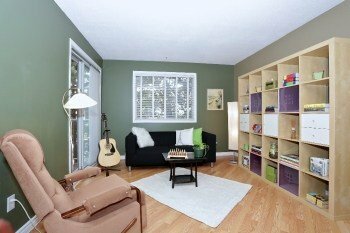 This wonderfully updated 2 bedroom condo offers a great opportunity for a resort-like lifestyle in Brittany Park at a very affordable price. Updated throughout, the beautiful kitchen features modern, quality appliances including stainless steel bottom-freezer fridge, stove with ceramic cooktop, hood fan. It also includes a built-in dishwasher, microwave and one of the best features is quality front-loading Maytag Washer/Dryer. Also built in wine and glass rack and pass through to the living dining area means you’re never out of touch with your guests. The ceramic floors extend out to the large foyer. Click here to view the Photo Gallery or Click here to see the Video on Youtube! Enjoy entertaining in your spacious living dining area with direct walkout to your large balcony perched up in the trees. Two large bedrooms and in-suite storage and a pristine updated bathroom make for a very comfortable living space. Air conditioning is available for those rare times you might need it. Parking spots are available all the time for a mere $50 per month so if you need two there’s no problem. Step outside and you get features not often found in Ottawa – truly resort like grounds with beautiful ponds and fountains, outdoor pool, tennis and indoor pool/recreation centre complete with gym. Location: Superb location with easy access to downtown whether by car or transit and easy walking distance to shops like the Metro Grocery store, FarmBoy, restaurants, pharmacy, pubs etc. You can also walk to the Montfort Hospital – It’s all here! Click on the attachment below to see the property details, condo fees, taxes, room sizes etc. Also check out the Walkscore map below to see all the stuff you can easily walk to. Rated as Very Walkable by Walkscore.com.